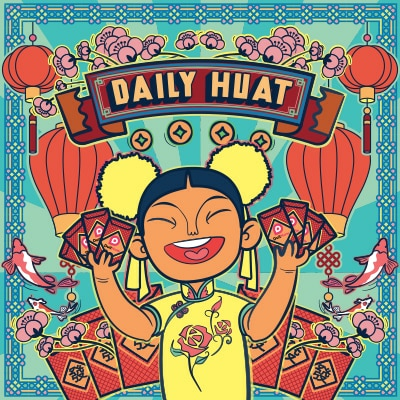 DuitNow and share the Huat this Lunar New Year. From now till 30 April 2019, be rewarded with a HUAWEI Mate 20 and other gadgets when you deposit fresh funds and register with DuitNow. You can also earn a Daily Angpow for your DuitNow fund transfers. 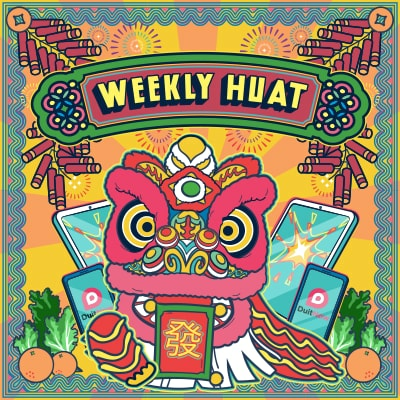 So, let’s spread the joy and Huat together. Be one of the first 500 customers to get a complimentary Sony Wireless Bluetooth Speaker worth RM199 when you deposit minimum fresh funds of RM50,000 for 3 months. Terms and conditions apply. Stand to win a HUAWEI Mate 20 or a tablet when you register for DuitNow, make DuitNow transactions and maintain a minimum monthly average balance of RM5,000 in your account for 3 months. Be one of the first 100 customers to receive a RM10 Daily Angpow when you send or receive funds with DuitNow. Terms and conditions apply. Transfer funds 24/7 to mobile numbers, NRIC numbers or business registration numbers through DuitNow with Online Banking or SC Mobile. Click here to learn more. 1. The DuitNow Campaign (“Campaign”) is valid from 23 January 2019 – 30 April 2019 (“Campaign Period”), both dates inclusive. 2. To participate, customers must register for DuitNow via Standard Chartered Online Banking and have a Standard Chartered Bank Malaysia Berhad (“SCBMB”) Current or Savings Account / Standard Chartered Saadiq Berhad (“SCSB”) Islamic Current or Savings Account during the Campaign Period (“Eligible Customers”). 3. DuitNow campaign offers Guaranteed Rewards, Daily Angpow Rewards and Weekly Rewards to Eligible Customers during the Campaign Period. 4. The funds used for the Guaranteed Reward must be Fresh Funds. Fresh Funds are funds which do not originate from any account held with SCBMB or SCSB. 5. 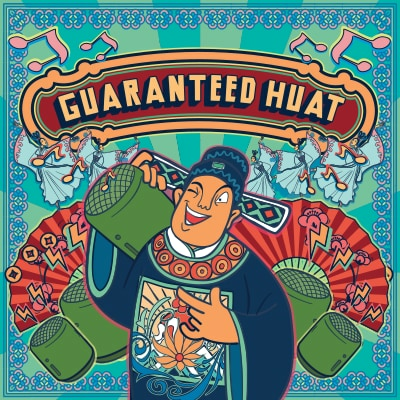 To be eligible for the Guaranteed Reward, Eligible Customers must meet criteria as per Clause 2 above AND must deposit and maintain minimum Fresh Funds of RM50,000 to receive one Sony Wireless Bluetooth Speaker (“Guaranteed Gift”). 6. Fresh Funds must be allocated for three (3) months. 7. A total of five hundred (500) Guaranteed Rewards are available during the Campaign Period. 8. Daily Angpows worth RM10 for the first 100 customers is up for grabs for the first 60 days of the Campaign Period from 23 January 2019.